Welcome to Monarch Cleaners Ltd! For everything from dry cleaning to ironing to linen hire, we are the professional, dedicated team call upon. We cover the whole of North Wales and Cheshire from our base in Prestatyn. Established for over 25 years, our customer service team is always on hand to help you with any questions you may have. We can provide laundry and dry cleaning collection from your home or workplace, for your convenience. 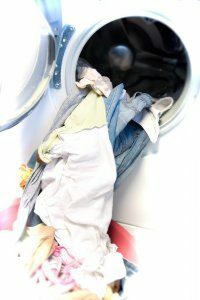 We can ensure that your weekly wash is collected, washed, dried, ironed and delivered back on the day of your choice. You can always rely on us to provide the highest level of service for all your laundry requirements! So, for a full door to door professional laundry service, fresh, clean, ready to wear shirts folded or on hangers, soft folded towels or bed linen washed and pressed ready to use: think Monarch Cleaners Ltd. Call us today on 01745 854 285 and we will be happy to help.